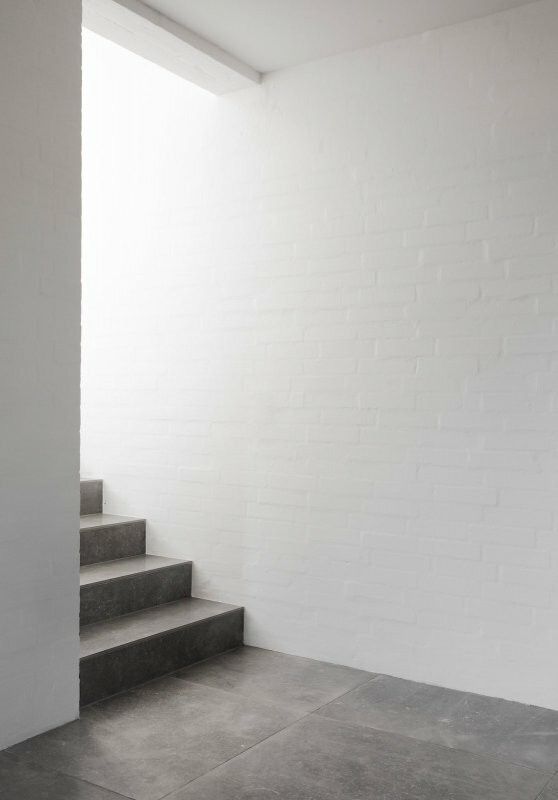 Modern, white stairwell with concrete treads. 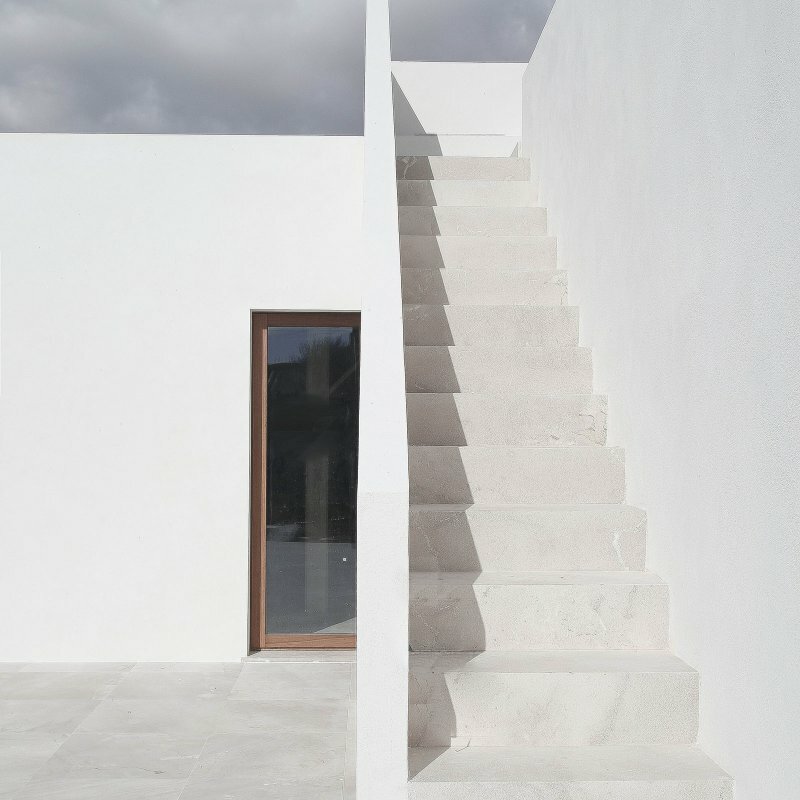 In the project Casa Prazeres in Lisbon designed by José Adrião Arquitecto. Photographed by FG+SG.